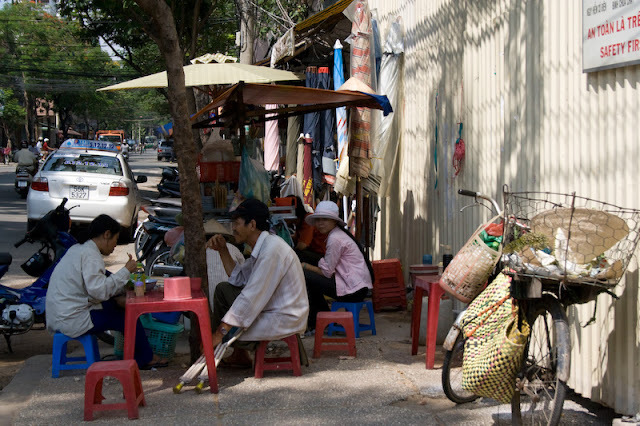 Hungry Planet: What Is It About Street Food? The more street food we have, the more it's embraced by every income strata, the better world we have. Anthony Bourdain. In browsing the latest cookbooks on the market and pondering the purchase of "Turkish Fire, Street Food and Barbecue from the Wild Heart of Turkey" by Sevtap Yuce, a question came to mind. What is the worlds current fascination with street food? I love it, I know you love it but why do we love it? What makes food cooked on the streets so fascinating? What is it that we love so much about the process of food being made and sold outside of traditional restaurant walls that excites us so? Does the lack of table cloths and seating have an affect on our perception of flavour? Do we prefer to eat with our fingers than with knives and forks? Is the price bracket appealing and the made to order nature of the food the draw card? I think it is all of the above but more so it is the people. Just hearing the word street food takes your mind away....to your travels, to somewhere exotic, to somewhere you would rather be. And what cements all of those experiences together is the honesty of real food being cooked by real people. People who make and sell the food out of necessity, the necessity of feeding their families and making a living. There is no pretensions as we too often find in the restaurant culture. You could say "cheffy" egos are left at the door, if there was a door to leave them at. Maybe the lack of a door and walls strips the cook of the ego. Without that ego, without the never ending quest for innovation seen behind the doors of the worlds best restaurants we are left with only the essence of what food is and should be. Quite simply it is food from the heart, recipes passed down through the generations, cooked and served on the streets to locals and tourists alike. A lack of formal training actually may be the secret in generating some of the most astounding food you are ever likely to taste. The flavours dance on your tongue and connect you with a culture. It is food that is completely unadulterated, that shouts through a loud speaker to your soul and will forever be a calling card for you across space and time. Now more than ever we see street food chasing us back home. Street food festivals are ever present and draw massive crowds. On opening night, this year Canberra's Noodle Night Markets served more than 10000 people from only a handful of food trucks. The annual Canberra Multicultural festival sees hundreds of thousands of attendees every year eat their way around the world in a matter of three days. These types of events are the highlight of my calendar but do they really capture what makes street food so exciting? Sure the flavours are often authentic, with recent and not so recent immigrants to Australia excited to share their culture, the atmosphere is festive and the food is best eaten with the hands. It has all the elements we want from our street food but there is always that niggling feeling in the back of my mind that there is something missing. It is the same with the street food cookbooks on the market. They tick all the boxes for me as far as exploring another culture through food but when cooked in the comfort of your own home following a recipe and eaten at the dinner table or as dinner so often is, in front of the TV can it still be considered street food? Without the people who live and breathe this food day in, day out. When not surrounded by the bustling cities that are home to the street food and it's maker. Without the locally grown ingredients and generational recipes what are we really left with? I am tempted to say we are left with a sad attempt to capture a moment that is gone but it just seems too cynical. Whilst any feeble attempts to bottle a feeling that has passed may be a little pathetic it is often all we have. If eating that food or cooking those recipes reconnects you with a moment, a culture or a people that once bought us great joy then it can't be a bad thing at all.